Leading Manufacturer of aluminium rope ladder, aluminum ladder, wall support ladder, aluminium double extension ladders and gangway ladders from Ahmedabad. 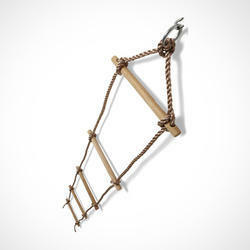 We provide rope ladders with aluminium rungs. 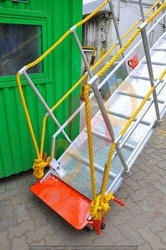 It has a very good capability of weight resistance and the aluminium rung is Anti-Corrosion product. 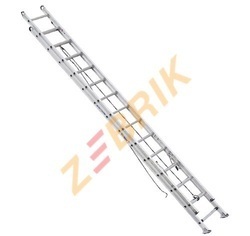 Zebrik aluminium wall support ladder is made up of top quality aluminium alloy. Main extrusion made up of aluminium alloy ‘C’ Section 66 x 32 x 3.18mm thickness of HE 30 Grade T6 Temper. Step made up of 64 base x 1 inch box type mullion step non slip, extra grip mullion step. High quality leg grip rubber shoes for top and bottom. 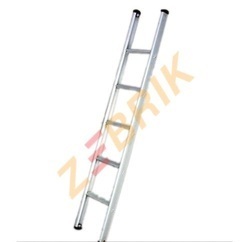 As this product is made up of aluminium it is light weighted ladder and it is an anti-rust product.